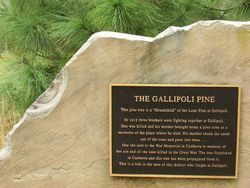 The Gallipoli Pine commemorates the men from the district who fought at Gallipoli during World War One. 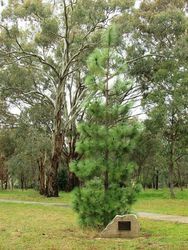 This pine tree is a "Grandchild" of the Lone Pine at Gallipoli. In 1915, three brothers were fighting together at Gallipoli. One was killed and his brother brought home a pine cone as a memento of the place where he died. His mother shook the seeds out of the cone and grew two trees. 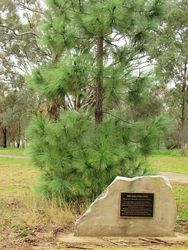 . .
One she sent to the War Memorial in Canberra in memory of her son and all the sons killed in the Great War. 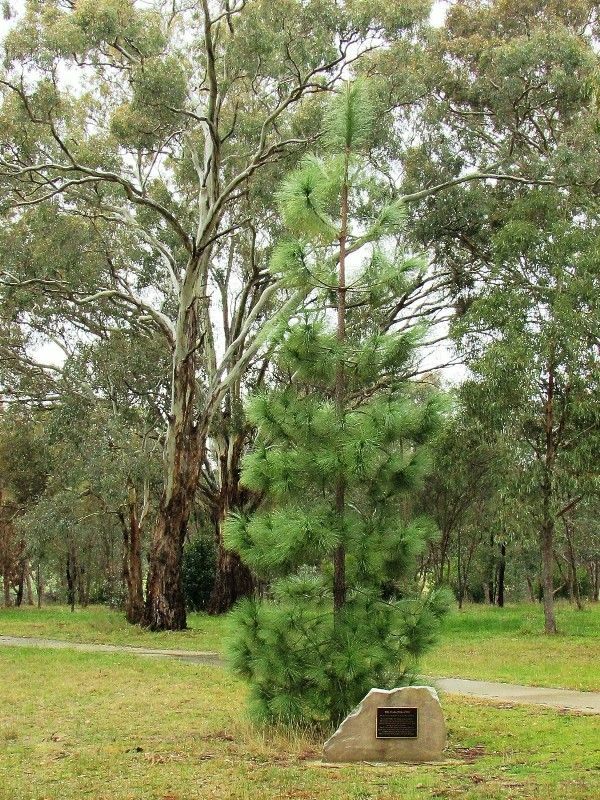 The tree flourished in Canberra and this tree has propagated from it. This is a link to the men of this district who fought at Gallipoli.